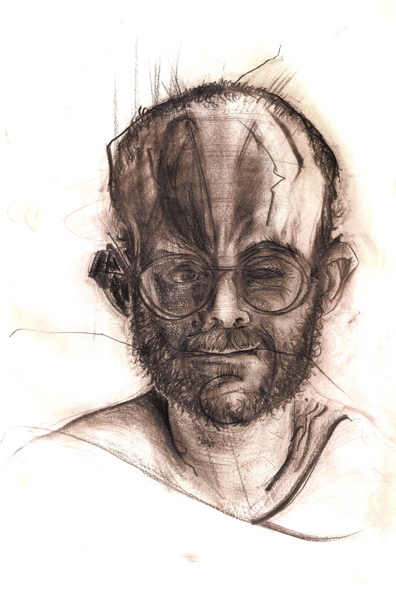 Bryan Lewis Saunders takes different sorts of drugs and expresses his experiences through art. I’m surprised he can still draw after taking Seroquel. I used to take 10mg of it for my manic depression and it always made me feel dizzy, lethargic and all around crappy. Nevertheless, props for this man for being so brave in trying those drugs and chronicling his experiences. I wonder how far should a man go in the name of art? Bruce Schneier writes about how panopticons are now everywhere through the internet and it’s almost an impossibility to stop them. George Orwell would be surprised how efficiently his work of fiction has come to life. After I publish this, companies and government agencies are probably analyzing what I have written in this post. Unwanted collection of personal data really is creepy and rather scary. In fact it is my opinion that essentialism in biology postdates Darwin, and was in fact due to the revival of Thomism among German and French speaking Catholic biologists who were reacting to the metaphysical views of people like Herbert Spencer and Ernst Haeckel. John Wilkins talks about how essentialism in evolution is most probably not what we think it is. For one, he’s of the opinion that essentialism was not the norm in the pre-Darwinian era as most people believe and as stated by Ernst Mayr. In fact, it may be more of a post-Darwinian thing and even so, only a few people held it to be true. If that’s the case, we have to change a whole bunch of textbooks. It would also give us a different perspective of the history of evolution. I wonder, if not essentialism, then what was the general paradigm before Darwin’s evolution? And was it really a backward paradigm compared to the Darwinian thinking? Click on the link to see the list of banned and challenged comic books in the US. In all honesty I believe comic books are more than just a piece of entertainment. It is a reflection of life and reality so I don’t see the point of removing it from shelves. It may actually teach people a thing or two. Forgive the absence of your humble moderator. I’ve been busy and sick since last week. “Busy” and “sick” don’t go well together. As an opening for my return, we’ll start off with another issue of Around the Web. 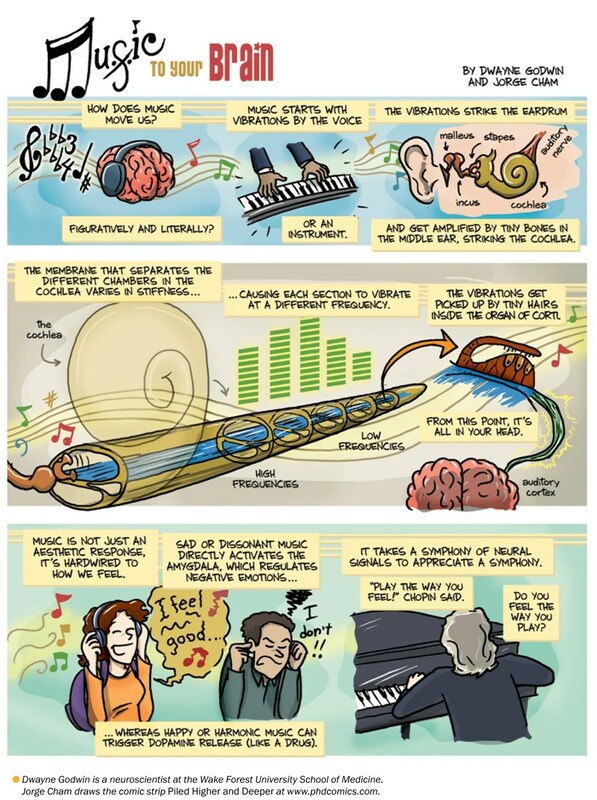 Here’s a fun illustration from Dwayne Godwin and Jorge Cham about how music affects the brain. Genetic Keys to Human Intelligence Revealed? Dr. Schahram Akbarian along with the team from Mount Sinai School of Medicine have found that humans have certain neurons, differently regulated from the neurons of primates, that might be the reason for our “unique cognitive abilities”. The regulation of the DNA sequence of these neurons are different from our primate cousins but similar to our closest hominin relatives, the Neanderthals and Denisovans. This may also give an explanation to the neurological diseases that only occur among humans.